T.O.P’s family is disputing police reports that said the star is “asleep” under the influence of drugs he took. On Wednesday morning, T.O.P’s mother teared up in front of the reporters gathered at Ewha Womans University Medical Center in Yangcheon-gu, Seoul, where T.O.P is hospitalized. “He was brought to the hospital unconscious. The doctor has confirmed this,” added T.O.P’s mother, who was seen speaking to the police. According to YG Entertainment. T.O.P’s family is very upset that the police announced T.O.P is “asleep.” The family said that he is actually unconscious and wearing an oxygen mask. Visiting T.O.P at the hospital is restricted and only a few family members are staying by his side. On the previous day, police claimed it was false information that T.O.P was unconscious. “It will take a day or two for the drug to wear off and afterward, T.O.P will have no trouble going back to his normal life,” they added. T.O.P was indicted Monday under charges of smoking marijuana. He was found Tuesday showing symptoms similar to a drug overdose inside the Seoul Metropolitan Police Agency in Yangcheon-gu. 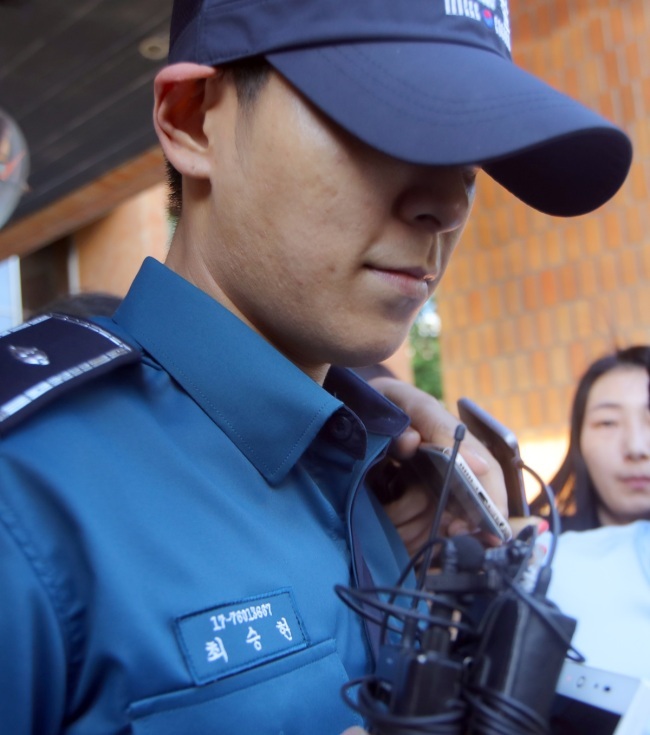 Since February, T.O.P has been carrying out his mandatory military service as a conscripted policeman. He had been stationed at the Gangnam Police Station in Seoul, but was transferred to a different police corps following his indictment.